Well,i am not from Jos but if you don’t know that just is one of the best cities to live in Nigeria you are definitely sitting on a long thing…. (lol) When it comes to Climate,Agriculture, Beauty and best of all Affordability In All Aspects Jos should be topping the list. The city is not quite popular but Jos has got a lot of features, it is the only city in Nigeria that doesn’t have features of a Nigerian city. You want to find out what i’m talking about?? Well, checkout the article below brought to you by T.I.N Magazine. Jos is a city in the Middle Belt of Nigeria. The city has a population of about 900,000 residents based on the 2006 census. Popularly called “J-town”, it is the administrative capital of Plateau State. The earliest known settlers of the land that would come to be known as Nigeria were the Nok people (circa 1000 BC), skilled artisans from around the Jos area who mysteriously vanished in the late first millennium. 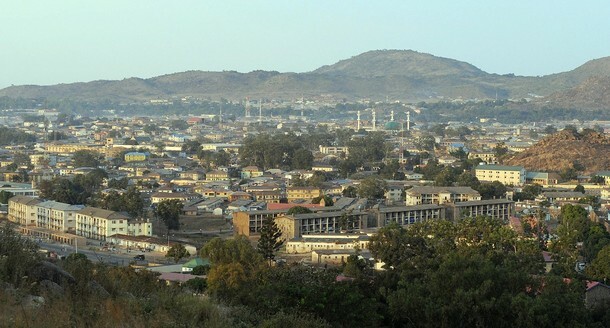 According to the white paper of the commission of inquiry into the 1994 crisis, Ames, a British colonial administrator, said that the original name for Jos was Gwosh which was a village situated at the current site of the city; according to Ames, the Hausa wrongly pronounced Gwosh as Jos and it stuck. Another version was that “Jos” came from the word “Jasad” meaning body. To distinguish it from the hill tops, it was called “Jas,” which was mis-pronounced by the British as “Jos.” It grew rapidly after the British discovered vast tin deposits in the vicinity. Both tin and columbite were extensively mined in the area up until the 1960s. They were transported by railway to both Port Harcourt and Lagos on the coast, then exported from those ports. Jos is still often referred to as “Tin City”. In 1967 it was made capital of Benue-Plateau State, becoming the capital of the new Plateau State in 1975. Jos has become an important national administrative, commercial, and tourist centre. Tin mining has led to the influx of migrants, mostly Igbos, Yorubas and Europeans, who constitute more than half of the population of Jos. 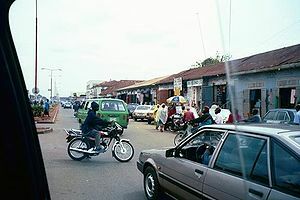 This “melting pot” of race, ethnicity and religion makes Jos one of the most cosmopolitan cities in Nigeria. For this reason, Plateau State is known in Nigeria as the “home of peace and tourism.” Despite this, in 2001, the city witnessed violent riots between the divided Muslim and Christian populations, in which several thousand people died. In 2004, the former governor of Plateau State, Joshua Dariye, was suspended for six months for failing to control the violence. In November 2008, clashes between Christians and Muslims killed almost 400 and wounded many. In spite of the communal clashes, visitors are surprised at the amount of activities still going on in the city. There is still an influx of people into the city and the cost of accommodation and land is still going up daily.[when?] This shows that the city is still one of the most desirable cities in Nigeria, despite the communal clashes. In January 2011 there were almost daily clashes between Christian and Muslim mobs in villages around Jos since a series of bombs had been detonated during Christmas Eve celebrations a month earlier, killing scores of people. In May 2014, a twin bomb attack in Jos killed 118 people. ultimately led to a “Declaration of Commitment to Peace” signed by the participating communities (Afizere, Anaguta, Berom, Fulani, Hausa, Igbo, South-South and Yoruba, as well as women who were represented as their own distinct community). The city is divided into 3 local government areas of Jos north, Jos south and Jos east.The city proper lies between Jos north and Jos south.Jos east houses the prestigious National Center For Remote Sensing. Jos north is the state capital and the area where most commercial activities of the state takes place although due to the recent communal clashes a lot of commercial activities are shifting to Jos south. The Governor’s office is located in an area in Jos North called “Jise” in Berom language,”Gise” in Afizere(Jarawa) language or “Tundun-Wada” in Hausa language. Jos south is the seat of the Deputy Governor i.e. the old Government House in Rayfield and the industrial centre of Plateau State due to the presence of industries like the NASCO group, Standard Biscuits,Grand Cereals and Oil Mills, Zuma steel west Africa, aluminium roofing industries, Jos International Breweries among others. Jos south also houses prestigious institutions like the National Institute of Policy and Strategic Studies (NIPSS), the highest academic awarding institution in Nigeria, the National Veterinary Research Institute, the Police Staff College, the NTA television college and the Nigerian Film Corporation. Jos north is the location of the University of Jos and its teaching hospital.The city has formed an agglomeration with the town of Bukuru to form the Jos-Bukuru metropolis(JBM). Situated almost at the geographical centre of Nigeria and about 179 kilometres (111 miles) from Abuja, the nation’s capital, Jos is linked by road, rail and air to the rest of the country. The city is served by Yakubu Gowon Airport, but its rail connections no longer operate as the only currently operational section of Nigeria’s rail network is the western line from Lagos to Kano. At an altitude of 1,217 m (3,993 ft) above sea level, Jos enjoys a more temperate climate than much of the rest of Nigeria. Average monthly temperatures range from 21–25 °C (70–77 °F), and from mid-November to late January, night-time temperatures drop as low as 11 °C (52 °F). Hail sometimes falls during the rainy season because of the cooler temperatures at high altitudes.These cooler temperatures have meant that, from colonial times until the present day, Jos is a favourite holiday location for both tourists and expatriates based in Nigeria. Jos receives about 1,400 millimetres (55 inches) of rainfall annually, the precipitation arising from both convectional and orographic sources, owing to the location of the city on the Jos Plateau. According to the Köppen Climate Classification system, Jos has a Tropical savanna climate, abbreviated “Aw”. Visitors to the city will notice the massive road projects embarked on by the state government. The city boundaries have extended into the town of Bukuru to form the Jos-Bukuru metropolis. The city is home to the University of Jos (founded in 1975), St Luke’s Cathedral, an airport and a railway station. Jos is served by several teaching hospitals including ECWA Evangel Hospital and Jos University Teaching Hospital (JUTH), a federal government-funded referral hospital.The Nigerian College of Accountancy, with over 3,000 students in 2011, is based in the Dogon-Dutse area of Jos. The National Museum in Jos was founded in 1952 by Bernard Fagg, and was recognized as one of the best in the country. It has unfortunately been left to fall to ruin as is the case with most of the cultural establishments in Nigeria. The Pottery Hall is a museum that has an exceptional collection of finely crafted pottery from all over Nigeria and boasts some fine specimens of Nok terracotta heads and artifacts dating from 500 BC to AD 200. It also incorporates the Museum of Traditional Nigerian Architecture with life-size replicas of a variety of buildings, from the walls of Kano and the Mosque at Zaria to a Tiv village. Articles of interest from colonial times relating to the railway and tin mining can also be found on display. A School for Museum Technicians is attached to the museum, established with the help of UNESCO. The Jos Museum is also located beside the zoo. Jos has two golf courses, Rayfield and Plateau, plus a polo club, a stadium and other sports/entertainment offerings. Hillcrest School, an international missionary school, is also located in Jos. The school has been running for more than fifty years (since 1942) and contains a large international student population. Covering roughly 3 square miles (7.8 km2) of savannah bush, the Jos Wildlife Park is a popular local attraction and includes animals such as lions, pythons and pygmy hippopotami. Other local enterprises include food processing, beer brewing, and the manufacture of cosmetics, soap, rope, jute bags, and furniture. Heavy industry produces cement and asbestos cement, crushed stone, rolled steel, and tire retreads. Jos also is a centre for the construction industry and has several printing and publishing firms. The Jos-Bukuru dam and reservoir on the Shen River provide water for the city’s industries. Jos Airport, situated at Heipang, has one of the most modern buildings in the country with a long enough runway for the jet airlines. The airport is served by a Arik Air which operates one flight daily between Lagos and Jos. Jos is a great base for exploring the beauty of Plateau State. The Shere Hills, seen to the east of Jos, offer a prime view of the city below. Assop Falls is a small waterfall which makes a pleasant picnic spot on a drive from Jos to Abuja. Riyom Rock is a dramatic and photogenic pile of rocks balanced precariously on top of one another, with one resembling a clown’s hat, observable from the main Jos-Akwanga road. Wikki Springs within the Yankari Game Reserve. It is wonderful to bathe in these warm springs. Wase rock located some 216 kilometers South-East of Jos in Wase Town is a beautiful, massive dome-shaped inselberg and stands at a staggering height 450 meters. According to available records, it is one of the only five breeding places for the Rossy (White pelican birds in Africa). The government now protects about 321 acres of land around the rock as a bird sanctuary and for wildlife development.